A replica of Basilosaurus cetoides, a whale from the Eocene Epoch, greets visitors to the Grand Hall of the Alabama Museum of Natural History. The Basilosaurus cetoides is the state fossil of Alabama. Welcome to the website for University of Alabama Museums, a division of the College of Arts and Sciences that encompasses five museums, two research departments, and the Discovering Alabama television program. Through our two “behind the scenes” divisions, we also develop interdisciplinary research programs focusing on museum-based research and provide archaeological and historic research and cultural resources management services to federal, Native American tribal, state, and local governmental agencies. For general information about our museums, departments, and programs, visit the Overview page. You’ll find detailed information about our museums, departments, and programs, on their websites or by contacting them directly. 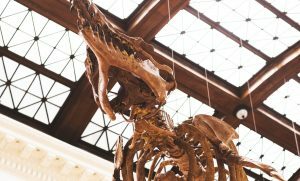 UA Museums as we currently know it — a collection of multiple museums under a single administrative umbrella — stems from a reorganization in 1990. Prior to that all the museums were under the Alabama Museum of Natural History at UA. Until 1961 the museum(s) were part of the Geological Survey of Alabama, reflecting the museums’ roots in the work of pioneering geologist E.A. Smith.  In 2017 UA Museums joined the College of Arts and Sciences, The University of Alabama’s largest division and the academic core of the University.